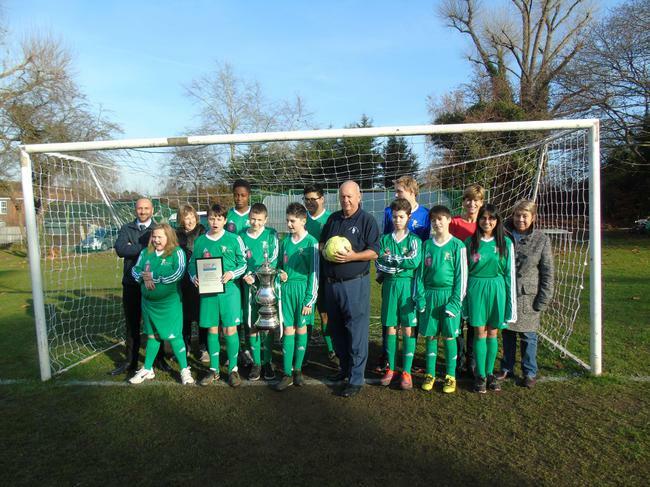 When The Abbey Key Stage 3 football team won the special schools football tournament for the first time earlier this year, the sponsors (The Children with Special Needs Foundation) promised the students that they would replace the rather tired and well-worn school strip. They have made good on that promise and the new kit has been delivered. The pupils are very excited and proud of it and have been showing it off before it gets dirty! Gordon and Ann Parris, founders of the charity, came to the school at the beginning of this week so the students could say thank you in person. You can see the photo of the presentation on the front page of The Farnham Herald today. "It is great seeing the students in the new kit, so generously provided by CWSNF, and you could sense the pride in the students. We all still remember that feeling of representing the school; leaving class slightly early, getting changed, having lunch in your kit and feeling 'ten foot taller' as you know you have been picked for the school team and all the eyes of the school are on you. We very proudly won the CWSNF Ian Wooldridge memorial replica FA Cup in 2016 and so are looking forward to hosting that tournament in our new kit and defending the crown"